← Coming soon …. Brand new website! We are very proud and excited to announce that our new website is up and running. We would love it if you took a tour of the pages and gave us your feedback – we will be tweeking it as necessary! Check out the new tours and Special ‘New Website’ offer! 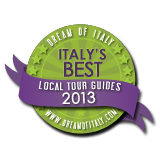 See you in Umbria on one of our Gusto Wine Tours! This entry was posted in Celebration, Events, Italian Wine, Personal, Special Offers, Umbria & Wine, Umbrian Life, Website. Bookmark the permalink. 4 Responses to It’s HERE! New updated Gusto Wine Tours Website. Apaixonada pelo seu ponto de vista! !